Across the landscape of American cinema and television, the bad guys on the screen have been written into some bland cars. Of course, there are exceptions -- that Charger in Bullitt or Auric Goldfinger's Rolls-Royce Phantom -- but for the most part, villains, from over confident murderers on Columbo to tweed jacket wearing thugs on the Rockford Files, have almost always driven boring 4-door sedans. But I understand, if you are a trying to avoid suspicion from Ponch and Jon you'd better drive something that is low-key -- but with a meaty V8 and some ramming power. 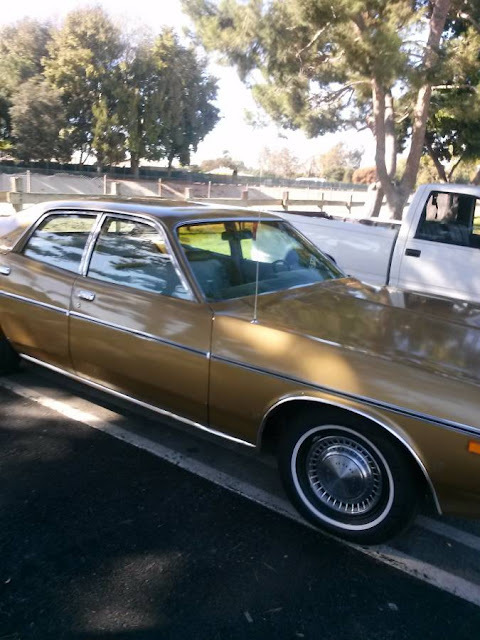 Like this 1973 Dodge Coronet offered for $4,000 in Lakewood, CA via craigslist. 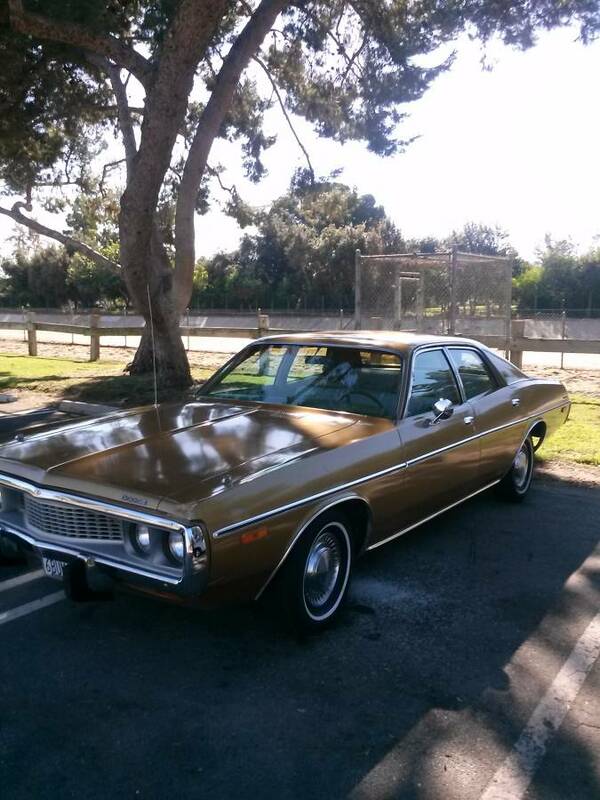 For a few grand you get a classic shade of 70s brown (ooohhhh yeahhhh) and a 1 owner 318-V8 equipped piece of Mopar history with only 32k miles on the odometer. Yes...it does have 4-doors...but I'd drive this every single day of the year. Why do I love these "Dirty Harry" 70's era, bland cop car like barges? Put the awesom '73 Dodge Coronet Crestwood wagon from yesterday next to this, in the same driveway, and I'm pretty sure every home in a 5 mile radius would magically morph into an exact replica of the Brady house. Agreed, for $10K one could buy both cars and rent them out to studios when the wife isn't dressing like Carol Brady to do her shopping in the wagon and you're not shopping for a new hat to go with your skinny ties. Kids probably won't like wearing plaid polyester as much, but hey, they'll be in the back seat where you can SWAT them into submission; the way it used to be done when we were kids. Ain't now videos back there kids. Just one question: "Are we there yet?" I think you have the Brady Bunch confused with Mad Men. By the 70's those ties were wiiide, dude. Edit accepted, especially since I lived through the 70's wearing them. The polyester must have affected my memory. But, heh, I was 3 inches taller then too. Gotta love those shoes. Heck, that's not a thug's car - that's a cop car! Back in the day Mopar 4 doors wit blue lights were everywhere. My friend had a green Plymouth and everywhere we went the cars in front would just pull over!